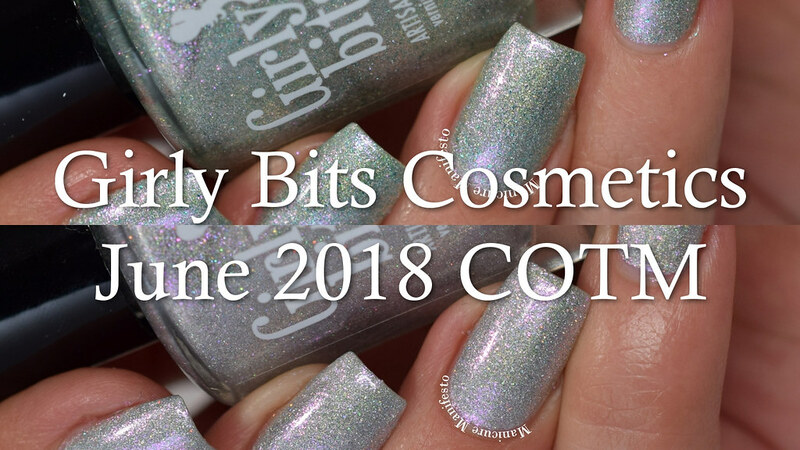 Today I have the June COTM shades from Girly Bits Cosmetics to share with you. This month's duo features two pale shimmery colours with a dash of holo to to show off in that summer sunshine. Let's take a look at swatches. 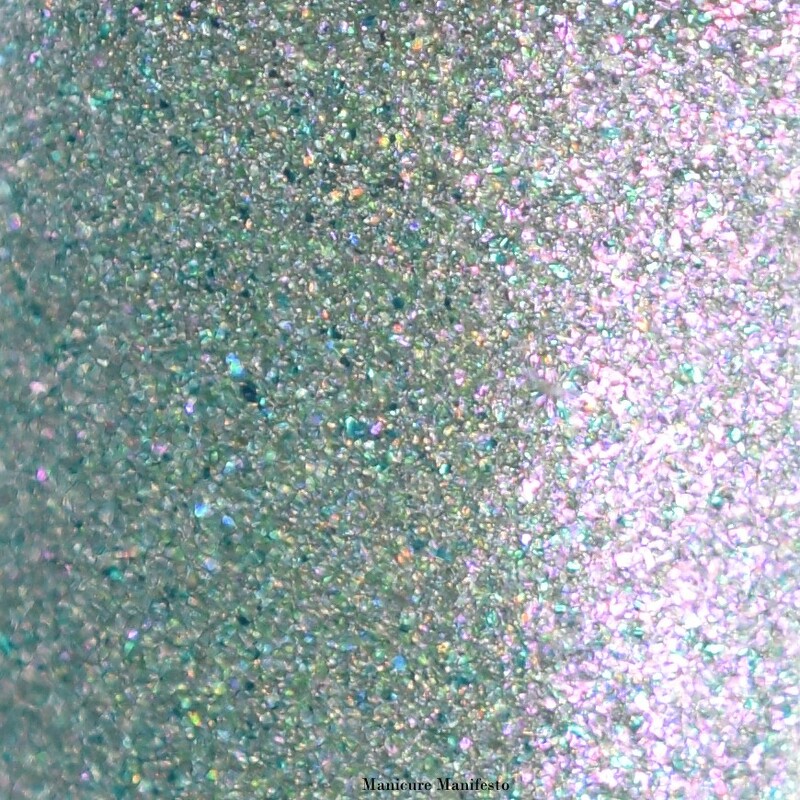 What A Bunch Abalone is features a shimmery mint green holo base with a strong pink flecked shimmer and teeny teal flakes. The formula was easy to work with taking two coats for full coverage. I do recommend a shiny topcoat to really make this polish shine. Photos show two coats of What A Bunch Abalone with one coat of Girly Bits Cosmetics Glitter Glaze top coat in daylight spectrum lighting. Shell Yeah is What A Bunch Abalone's silver cousin. 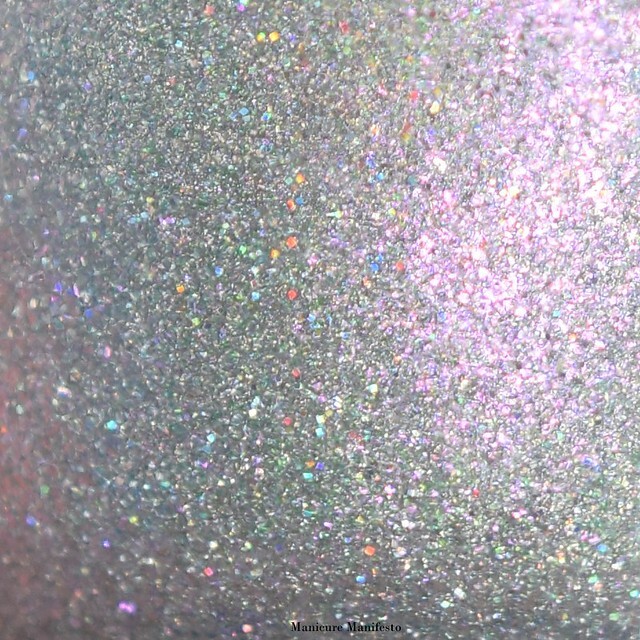 It features a shimmery silver holo base with a pink flecked shimmer. The formula was easy to apply and took three coats for full coverage. It was so close after two though that those with shorter nails or a less distinct nail line will be able to use two. 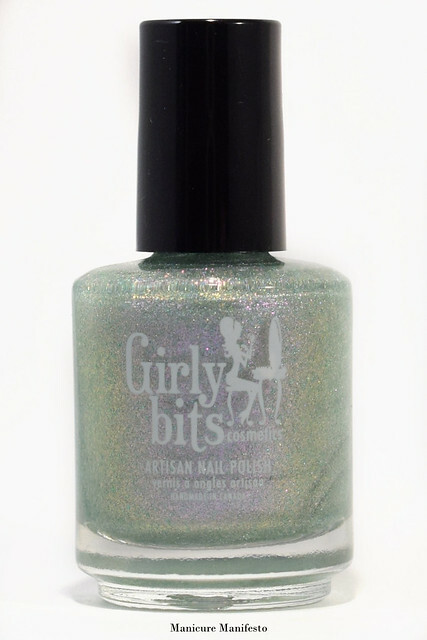 Though this dries relatively smooth, top coat really make all the shimmery and shiny components of this polish pop. 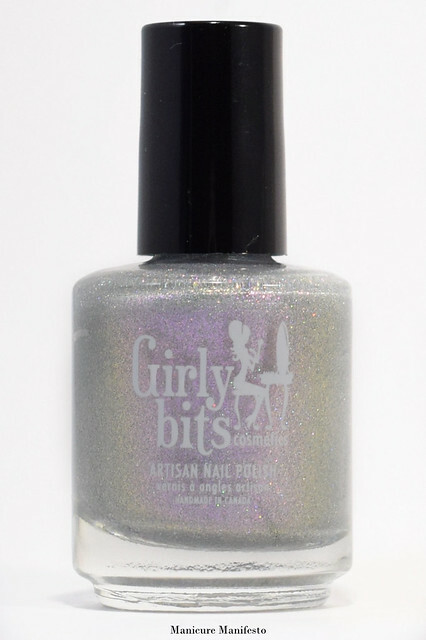 Photos show three coats of Shell Yeah with one coat of Girly Bits Glitter Glaze top coat in daylight spectrum lighting.